March 1, 2016, 11 a.m.
From livestreaming to livetweeting, quote cards to results maps, this is how some top outlets are thinking about serving audiences on election night — just in time for Super Tuesday. By Joseph Lichterman, Laura Hazard Owen, and Shan Wang March 1, 2016, 11 a.m.
’Tis the season of colorful speeches, embarrassing (campaign-destroying) tweets, and unbelievable victories. Will Hillary Clinton come out strong over Bernie Sanders in the South, or is Sanders making inroads with minority voters? Will Donald Trump sustain his momentum today in the Super Tuesday races? In a recent Pew survey on how Americans are following the 2016 presidential campaign, 24 percent of respondents said cable news was the most helpful way for them to follow the campaign. But among 18- to 29-year-olds, 35 percent of respondents favored social media as the most useful channel for obtaining election information. We checked in with several news organizations on how they’re handling their live coverage of the 2016 presidential campaign. Below are their responses, lightly edited for length and clarity. Breaking news coverage has always been a core component of Bloomberg News’ success. In this election, we’ve capitalized on that and regularly use Bloomberg First Word in the Campaign Tracker section of our website. The team at BFW watches debates and monitors social networks, websites and news sources for breaking news. Then they send out headlines and reports where developments and analysis are condensed into a bullet-point format for speedy comprehension and quick reading. 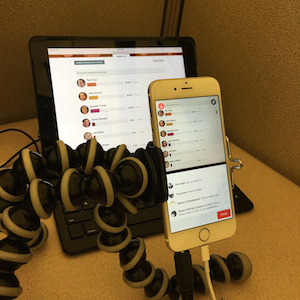 In this election, video is playing a far bigger role in our coverage than it has in the past. Our live hour-long Bloomberg Politics show, With All Due Respect, was in the early states, doing interviews with candidates and updates with reporters on a daily basis. What remains unchanged is our belief that, whenever possible, reporters should be present physically on the trail. That’s the only way we feel a journalist can truly capture and understand the rhythm of a campaign, the resonance a platform or candidate has with voters, and how the candidates craft their message to appeal to the various electoral interests found in the the different states. On big political nights, we divide and conquer on social. Our dedicated social editor for Bloomberg Politics constantly pushes out new content on Twitter and live-tweets quotes from candidates. We also coordinate our efforts with other social editors to get our features out across the flagship Bloomberg social properties in real time. We try to turn around those newsworthy, mic-drop live TV moments as fast as humanly possible, whether in native video or GIF form, to help us illustrate the larger story. For all the weekday debates, With All Due Respect has broadcast live from the event’s locale. And by having specific individuals charged with filing breaking news and others charged with social messaging, it allows those other reporters covering the event to focus on the authoritative reporting and analysis that Bloomberg’s audience values. On election nights, our maps incorporate live analysis and show who’s winning, the size of the lead and population density, as well as highlight areas where something significant has happened. The maps are modular, making it easy for us to tell the story and incorporate it across our site, whether that’s on mobile, desktop, the homepage, or even new features like Backdrop. Backdrop is a feature we launched with live results in mind. It’s a mobile-optimized panel on politics articles that helps put what’s happening in the election into context, allowing the reader to get the latest results without ever leaving the page. We’re also using newsletters as a way to reach people to both preview and wrap up major events. We have the newly launched Daily Trail newsletter, and the 5-Minute Fix and Fact Checker newsletters. We’ve tried a variety of platforms and approaches and are continuing to experiment. The social quote cards we launched late last year have been hugely helpful with telling the story of debates as well as candidate speeches on Twitter. As a real-time platform, Twitter is a great place to share images of our primary-night maps as results come in, and we’re experimenting with other images. And GIFs, of course. 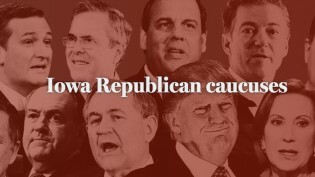 On Facebook, Ed O’Keefe livestreamed the day after the Iowa caucuses, answering people’s questions about what happened and what would happen next, and we’ve experimented with the Notes feature as a way to tell stories directly on the platform. We’ve used Snapchat from the primary states, and have turned it over to Michelle Lee from the Fact Checker on nights after debates. Every live event is different — even each voting day is different from the others — but one of the best things that came out of our work on debates was collaborating among social, video, graphics, design, and the politics staff. When everyone brings their strengths to telling the story on every platform, we’re able to make sure we’re presenting the story in a way that’s the most informative and most engaging for each audience. We created our results pages in a way that they would be easily shareable and mobile friendly, refreshing every 15 seconds. On social, we wanted to maximize our reach while providing our audience with content they would find useful, interesting, and worth sharing. We experimented with 360º Facebook video, Facebook live streaming video, and the new Notes feature and created a variety of templates to quickly spin out graphics as results came in. We saw substantial success in a couple of key areas. 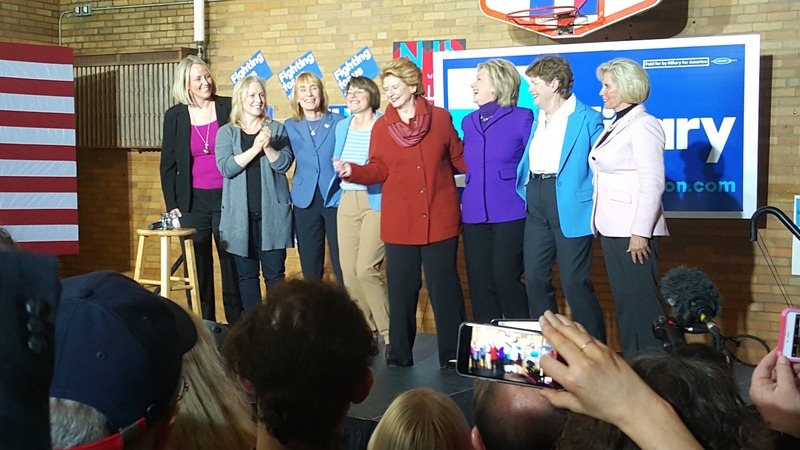 Leveraging the Notes tool to deliver our daily Ground Game email garnered us an additional 100-plus reads a day in the lead-up to the New Hampshire primary. 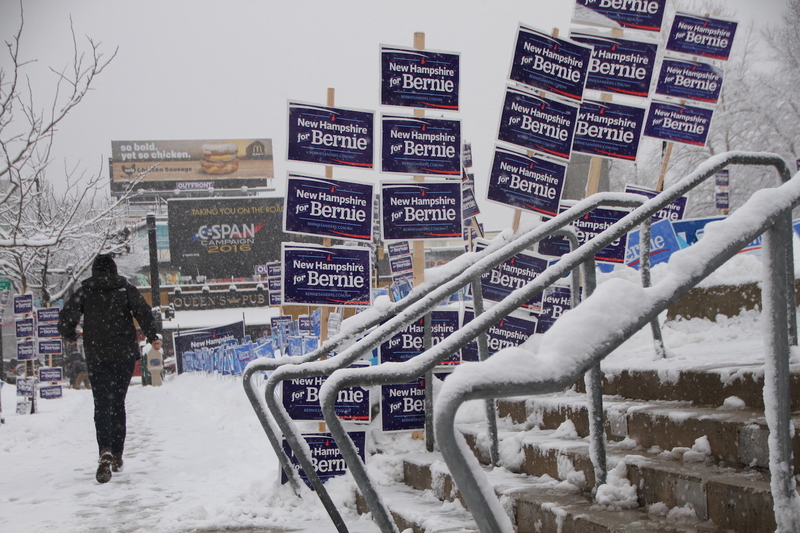 We shot a number of 360º videos and published them directly to Facebook, gave our audience a unique look at what it is like to be inside the political rallies in New Hampshire. A simple livestream of the results page on our website garnered us over 30,000 live viewers, who watched for upwards of almost 10 minutes. The livestream of our site netted us over 9,000 additional clicks to the results page on our site. This was a big win for us: It was major in terms of reach and engagement, while costing almost nothing to do. During the debates, we provided live coverage, but not at the same level as during the days leading up to the primary. Providing quote graphics as the debates happened seems to provide really consistent and solid levels of engagement. Montanaro: We really rethought how we wanted our election coverage to go this year. This past year has been like working at a startup. There’s so much energy, and our veterans and new reporters have all bought into the idea that we can’t just be a single-platform news organization. We have to be hybrids, and that’s a great thing for NPR, because our reporters are doing so much great reporting. Because of that spirit of ingenuity, that means nothing is static. We tested the idea of The Stream at an earlier debate, giving our reporters the parameters of sending in 100 words, photos, color, reporting from the field, takeaways, fact checks, etc. It really seemed to work. These all might be overwhelming and scattershot for our audience in multiple web posts, but in one stream, we were trying to build something easier to scroll through for a mildly engaged voter, who was looking for something to follow along with on their phone on election day into election night. The Stream is intended to be a complement to our NPR elections page. 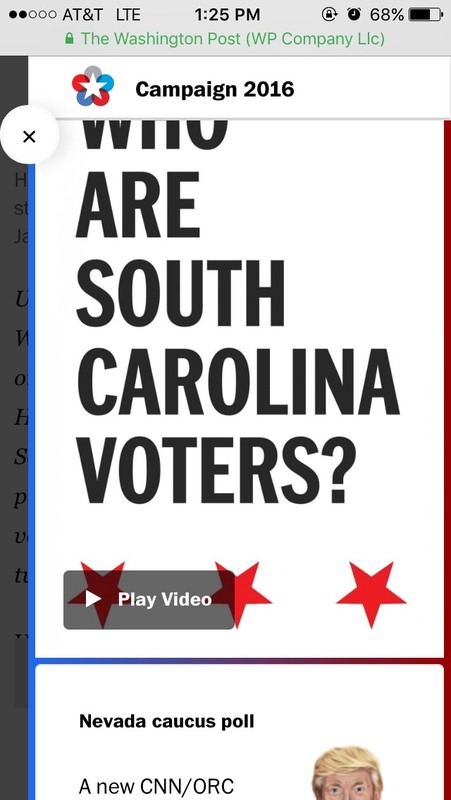 The elections page is mobile-first, and it’s the brainchild of our NPR Visuals team. We wanted to give readers the opportunity to have something that works on their phones, where they could get caught up, follow along with the essentials of what’s happening, know what this election means, get results and delegate counts and hear our audio, all in a tight space. For audio, that means our live election special broadcast and, in between elections, our NPR Politics podcast. If readers want more, there are links embedded to stories on the site that deepen the points made. Kelly: We encourage our reporters to take our audience along with them on Twitter and other platforms during live coverage nights, to relay what they’re seeing and doing as it happens rather than waiting for the whole story to come together. And the main NPR Twitter engages with the audience on live nights to see what questions or comments they have as news happens. Todd: We’re tackling social media strategically from two departments, NPR Politics and NPR Digital News, which handles NPR’s main social media accounts. We collaborate and work closely together during live events to engage the wider NPR audience as well as political junkies. Montanaro: In many ways, this is a wholesale change from how we’ve covered past elections. The biggest change is what the audience wants and how it wants it. Readers and listeners have become far more mobile-first, even just over the past year or so, so that changes how you conceive everything, from the writing to the layout. People are much more “scroll and stop” now than they’ve ever been. But they are also hungry for smart content that steps back from the fray and tries to explain what’s actually going on. The trick is to keep trying to figure out the most effective ways to package it from the outset of story conception. In a sense, building an election results map is laying the last mile of the pipeline between the ballot box and the open web. It all starts when voters cast their ballots at their local polling place. Those ballots are then collected and tabulated by election officials. The people who do the counting vary by state and election type. The Associated Press gathers those totals and combines them into a consolidated database. The AP sells access to that data to other news organizations, like the Los Angeles Times. The news nerds then write computer code to pull the data from the AP’s service and republish it on the web for readers in graphics, tables, and the other fun things you see update on election nights. Our approach is to employ responsive design, the fancy name for a system of computer programming tricks that allow a web page to shift to fit different device sizes. Like a lot of design, it all starts with a grid. We conceive the page as a series of elements within that grid, which are then flowed into the page where the responsive code scales to fit the user’s device, regardless of its size. It’s not easy to make everything fit, but it forces you to focus on making the essentials work at the smallest sizes. Responsive design and smartphones have forced news outlets, including ours, to shovel away the piles of manure that caked on sites during the Desktop Era. 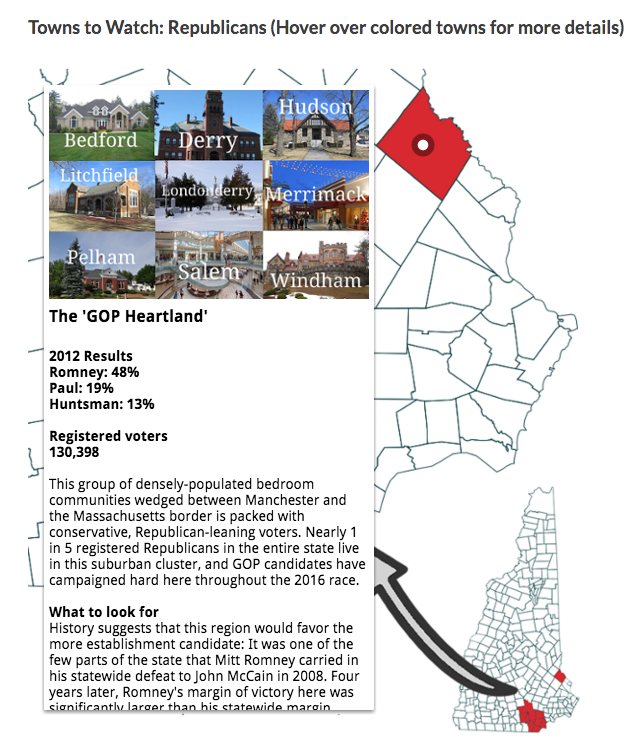 Compare our 2012 maps from New Hampshire with this year’s offering and you’ll see what I mean. The tremendous amount of traffic our pages drew reaffirmed to me what readers want. They want more. Newsweek’s cover stories first sparked the creation of quote cards — they were originally used to pull out quotations in longform. Our social media editor, Iva Dixit, used graphics made to promote the cover stories online to make the cards. The cards did okay, and we still use them for all kinds of stories. But this is a great example of how a tool for longform has evolved to fit a real-time news cycle. 1. Does the quotation represent a change in the speaker’s stated policy or record? 2. Does the quotation represent an expected statement, perhaps a strategic jab at another candidate, that reflects a change in their strategy? 3. Has Newsweek previously reported on the topic, or do we have more information to provide readers beyond a simple quote? 4. Can we reproduce the quote card in a timely manner? This last one comes down to timing, more than editorial choice. We make a point to get those cards out within the first five minutes in order to catch the second-screeners — people who use social networks while they watch live events. One timeliness tip: Try to stick to quotes that focus on one idea or detail. They’re easier to both fact check and produce. Iva and I have played around with different formats, but one thing is key: We use compelling images (not stock photos) and try to make the font as large as we can. We create custom cards for multiple social networks, but focus on Twitter and Facebook and will soon broaden our distribution to Instagram, Tumblr, Vine, and possibly Snapchat. And we try to make the borders as thick as possible. Borders can make or break the way mobile devices render images. We made how-to docs for the newsroom to make their own, too. We developed a primary-focused mobile app last fall that was part of our Primary Night coverage, as well as a curation of all our New Hampshire primary reporting for the past year. We also invested in making live results available on our site — something that few outlets in our region do — and building stories that showed site visitors how to interpret what they were seeing on the town level. We incorporated far more data into both our day-to-day reporting and our longer-term pieces and digital elements. Much of it is based on a new state elections database we developed, including a set of interactive maps showing past winners of the New Hampshire Primary by town and a graphic showing which towns would be critical in the eventual outcome of the two party primaries this year. While this kind of data might not be of value in other states, the number of “undeclared” voters (who can vote in either party’s primary) makes historical data especially interesting, particular in open primary years. We also chose to focus on features that only we could do, including a series looking at the Primary Backstage, the people and places behind the scenes of the big show, as well as a number of stories about people in New Hampshire who are largely left outside of the process, either because of the economics of their region or because they part of are a minority community in a largely white state. For social, we focus on repackaging our existing assets, such as prior reporting we may have done explaining issues and talking points back when voters weren’t paying attention, or even lighter content that shows a different side of a candidate’s pitch, such as our series of literal elevator pitch videos. Our strategy is to make sure we have those stories queued up in such a way that we can share them to provide context during live events. We’ve received a lot of feedback that people find value in providing those stories, and for our outlet, providing that value is more important than stacking up retweets. Our desire is to provide context, rather than simply tweet out what a candidate just said. When a candidate mentions his tax policy, for instance, it’s worth taking a moment to dig up that story we did on his tax policy to tweet out, rather than to simply repeat that talking point. We actually created a series called Where They Stand because we knew that it would come in handy for providing that context as the primary drew closer. The series focused on the issues we knew candidates were likely to talk about as points of differentiation during debates — guns for Democrats, for instance, and foreign policy for Republicans. Another example of this occurred during the final GOP debate before New Hampshire, when Marco Rubio repeatedly leaned on his talking points (and Chris Christie attacked him on that). We’d actually done a story in which we’d taken a Rubio stump speech and deconstructed it, because that very repetition was something one of our reporters had noted on the trail. We did a minor edit on that story and shared it again, and it brought people to our site that likely hadn’t visited us before. This is the first election cycle Mashable has had a politics editor on board, so we’ve completely built this effort from the ground up. Until now, we hadn’t covered politics in a particularly targeted way, and we consider this the entire newsroom’s story. While some elements — like our Lego visualizations of the Iowa caucus and New Hampshire primary results — are carryovers from past cycles, I really considered myself starting with a blank slate. We hired two great reporters, Emily Cahn and Cameron Joseph, to tell the stories that other outlets may overlook. Our biggest goal this campaign cycle was to cover the 2016 election in ways that are constantly surprising and to really have the freedom to play with format. Leveraging social channels is a huge part of that, and the bedrock of what Mashable does. You’ll find our coverage of the 2016 race on Twitter (@Mashable, @MashableNews, @MashPolitics), Vine, Facebook, and Snapchat. Debate nights are a labor of love in our newsroom that includes contributions from our politics, real-time news, video, business, global news and watercooler (viral content) teams, as well as our social team, which manages our multiple accounts throughout the evening. One of our big mandates is to do nothing obligatory. Every piece of content we promote or create should have the audience in mind. We’ve also taken a highly visual approach to covering the debates. Debates are soundbite-driven events, and capturing the most important moments and being able to rapidly promote them on social — Vine, Facebook, Twitter — has been essential. 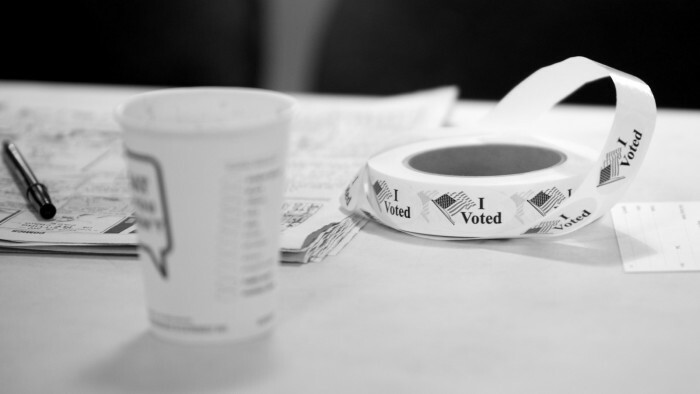 Photo of stickers given out to voters after Super Tuesday in 2012, by BU Interactive News, used under a Creative Commons license. Photos of Hillary Clinton and Bernie Sanders signs courtesy of Fungai Tichawangana, used with permission. POSTED March 1, 2016, 11 a.m.
Lichterman, Laura Hazard Owen, and Shan Wang, Joseph. "This just in: How 9 news organizations are reporting election results live on the web." Nieman Journalism Lab. Nieman Foundation for Journalism at Harvard, 1 Mar. 2016. Web. 20 Apr. 2019. Lichterman, Laura Hazard Owen, and Shan Wang, Joseph. "This just in: How 9 news organizations are reporting election results live on the web." Nieman Journalism Lab. Last modified March 1, 2016. Accessed April 20, 2019. https://www.niemanlab.org/2016/03/this-just-in-how-9-news-organizations-are-reporting-election-results-live-on-the-web/.